By Ciara O'Rourke on Thursday, April 4th, 2019 at 1:44 p.m. This is doctored. The original image doesn't include former vice president Joe Biden. In late March, a former Nevada legislator accused former vice president Joe Biden of kissing and touching her. 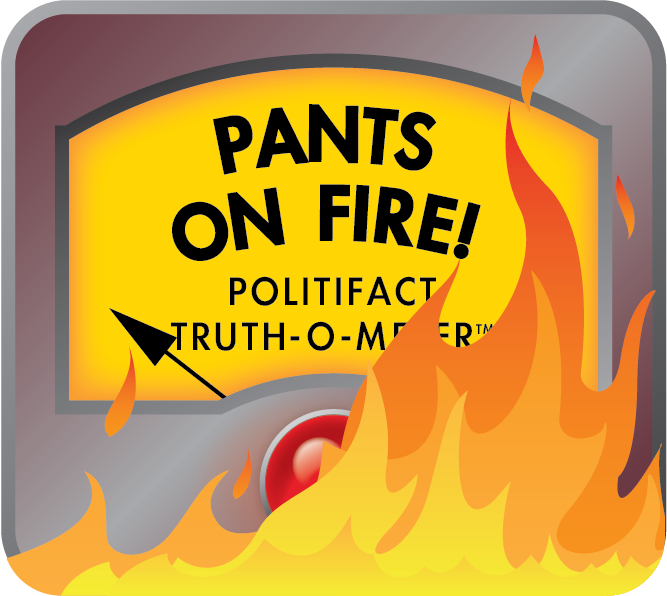 The allegation fueled old claims that Biden, a likely presidential candidate, behaves inappropriately with women. It also inspired some new, supposed photo evidence of such behavior. The original image is a still of a video by Daily Caller columnist Benny Johnson. 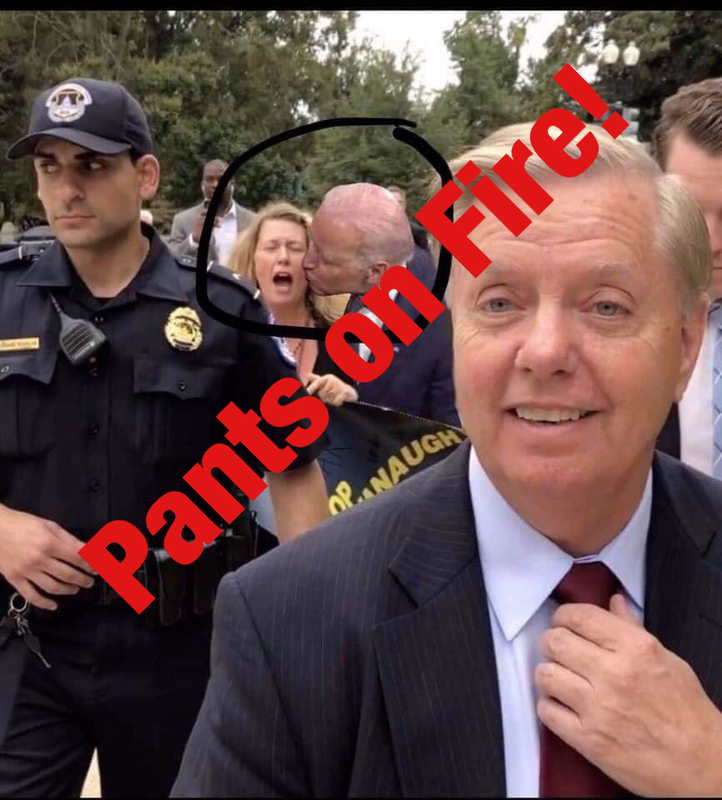 Johnson recorded Graham walking away from a woman protesting Brett Kavanaugh’s nomination to the Supreme Court, according to Johnson’s Oct. 5 story. Biden is not in the picture. In the doctored photo, the woman has her mouth open like she is screaming or gasping in surprise. But watching the recording, it’s clear she’s yelling at Graham. "We are voting you out of office," she says as Graham adjusts his tie and smiles for the camera. A screenshot of that moment has become a meme (examples here and here). But commenters on the Facebook post seem to believe the doctored photo with Biden is authentic. "What a creep," one woman wrote. "Does he have to be pawing women all the time? Where is his wife?" "Old Joe at it again," someone else wrote. But another woman was wise to the Daily Caller’s story. "Photoshopped," she said. "And theres (sic) video to prove it." Published: Thursday, April 4th, 2019 at 1:44 p.m.